Foux Da Fa Fa? One of my all-time favorite Flight of the Conchords songs/videos. 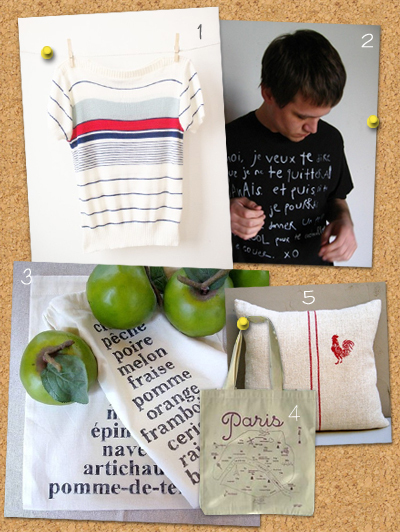 *And speaking of French, you may want to check out my dear friend Melissa's guest post over at Bonbon Oiseau. Hahaha - the best post title I've read all day! & great finds to match it. Flight of the Conchords are hilarious! My favorite song is "The Most Beautiful Girl in the Room". love foux da fa fa, love this post! we got tickets to see them at radio city in april!